The SDM Corse Yamaha Official EMX250 Team – formerly titled ‘ASTES4-TESAR Yamaha Official EMX250’ – will enter the 2019 EMX250 Championship with a fresh and exciting new line-up. The team is thrilled to announce the signing of Gianluca Facchetti, Ruben Fernandez and Rick Elzinga, that will see the trio contest the 2019 European Championship onboard GYTR kitted YZ250F machinery. Spearheading their effort will be the 2017 FIM Junior Motocross 125cc World Champion Gianluca Facchetti. At the tender age of 18-years-old, Facchetti has already experienced a multitude of success. The youngster finished inside the top-three in the 2017 EMX125 Championship with five consecutive podium finishes before making his EMX250 Championship debut this season, in 2018. 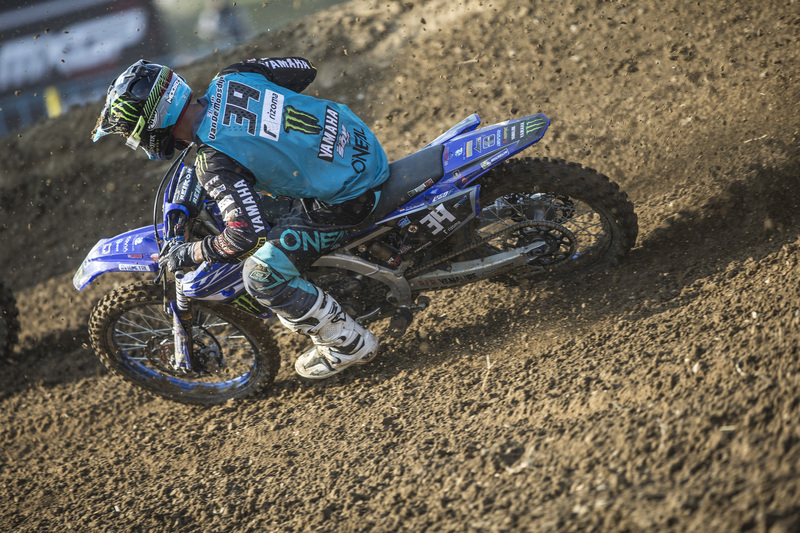 After proving to be a solid top-five contender in the 2018 EMX250 Championship, the talented Italian led Team Italy to victory at the Motocross of European Nations in Poland with a dominating 1-1 performance. After a challenging season in MX2, Fernandez has moved back to the EMX250 Championship to further refine his skills and experience on the Grand Prix circuits before returning to the pro league. As the 2017 EMX250 Championship bronze medalist, the 19-year-old already has a wealth of experience inside the EMX250 class and will enter the 2019 EMX250 Championship with high hopes. Despite an unlucky year in 2018 where he missed most of the EMX125 season due to injury, Elzinga was nothing short of impressive at the three rounds he did attend. Upon his return to racing, the 17-year-old sensation challenged for race wins in every race he lined up for and managed to finish on the podium on two of three occasions. For the 2019 season, he has swapped his GYTR kitted YZ125 for GYTR kitted YZ250F where he will be a rookie to watch inside the hotly contested EMX250 Championship. All three riders will be based in Italy where they will ride and train on a regular basis with the 2008 MX1 World Champion David Philippaerts.